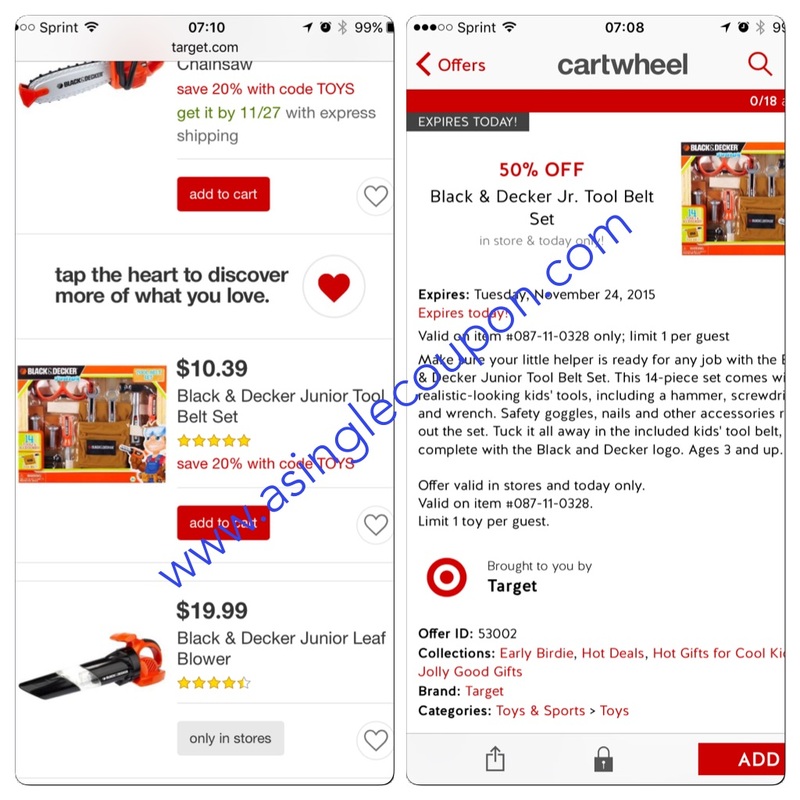 Target: HOT TOY Deal of the day 11/24! 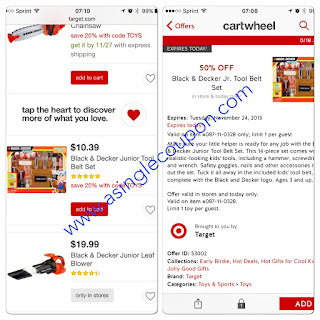 Today's Target Cartwheel toy of the day is a Black and Decker junior tool belt! Yesterday the 20% came off the original price and not after the 50% price! IT is 7.30am and I have not tried this deal, so let me know if it works out another way for you! Save more by using your Target Red Card and by using a reusable bag! Find out about Target Red Card below!